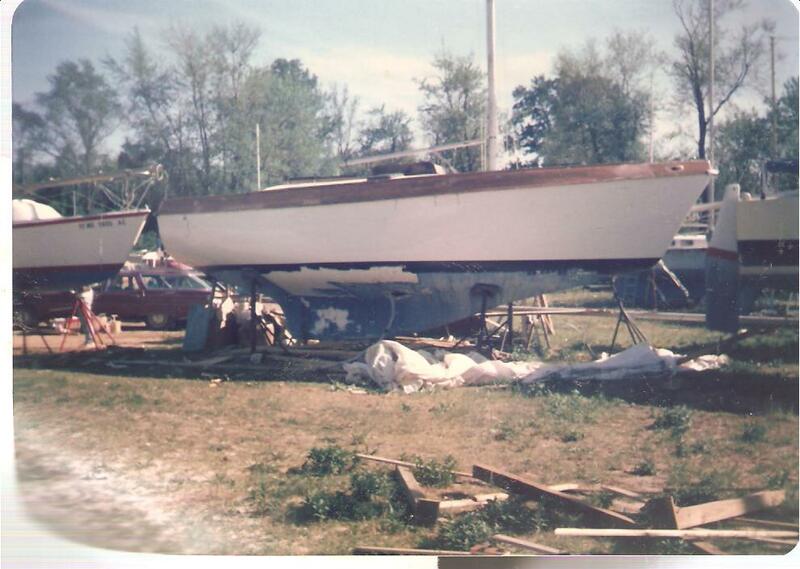 First boat, total rebuild to this cold-molded (delaminated) wood boat. Epoxy, varnish, paint. 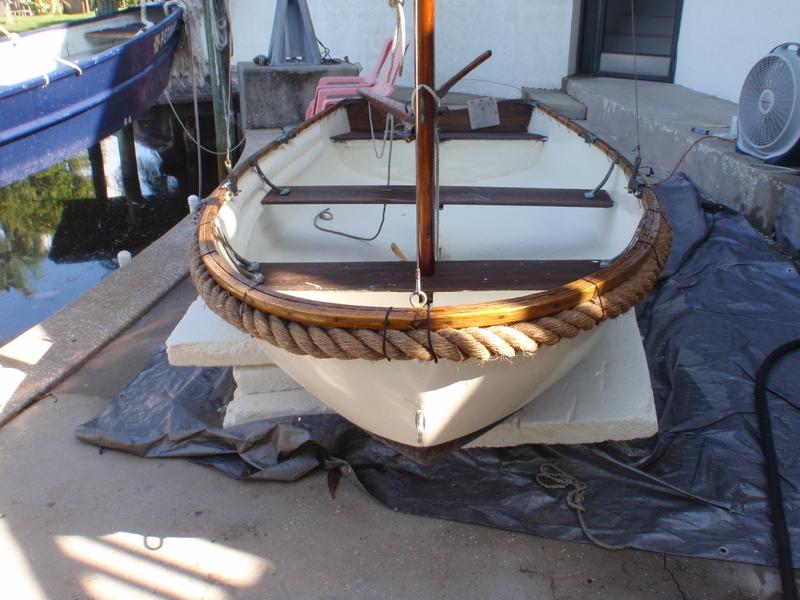 Classic wood racing sloop from the 20抯. Overall good shape. Continual painting, varnishing, caulking. Sailed her summer and winter, hard. 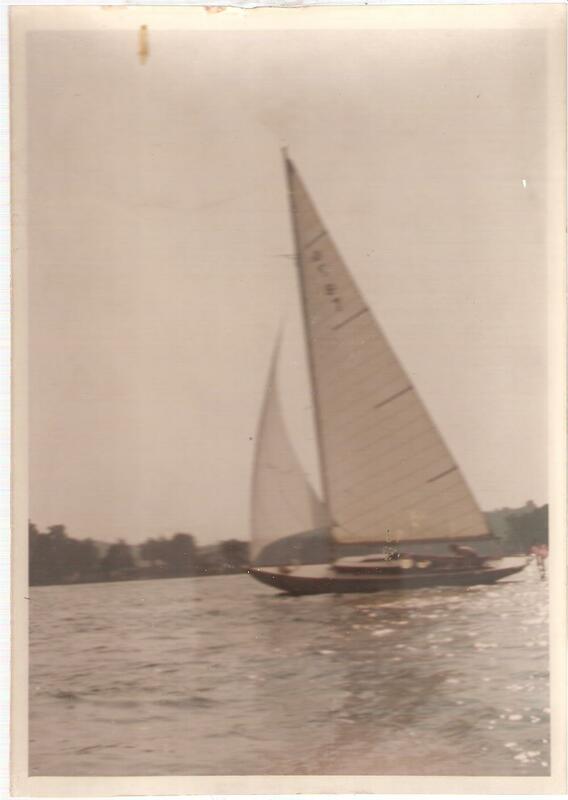 Hot racing cat (beat Hobie 16抯 all the time), mostly fiberglass and rigging maintenance. Total rebuild. FG work, deck/cockpit cores, epoxied/varnished wood mast, wiring. 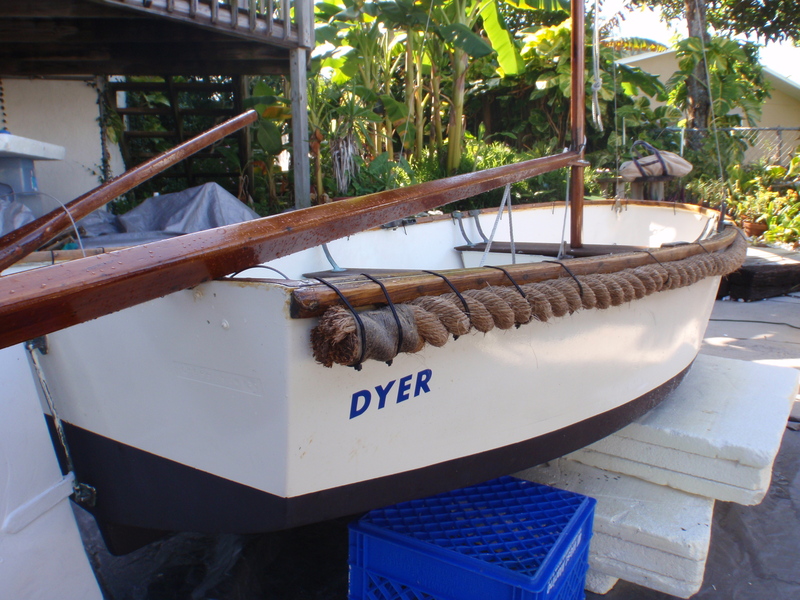 Faded gel-coat restoration, teak refinishing, wiring, Atomic-4 engine rebuild. 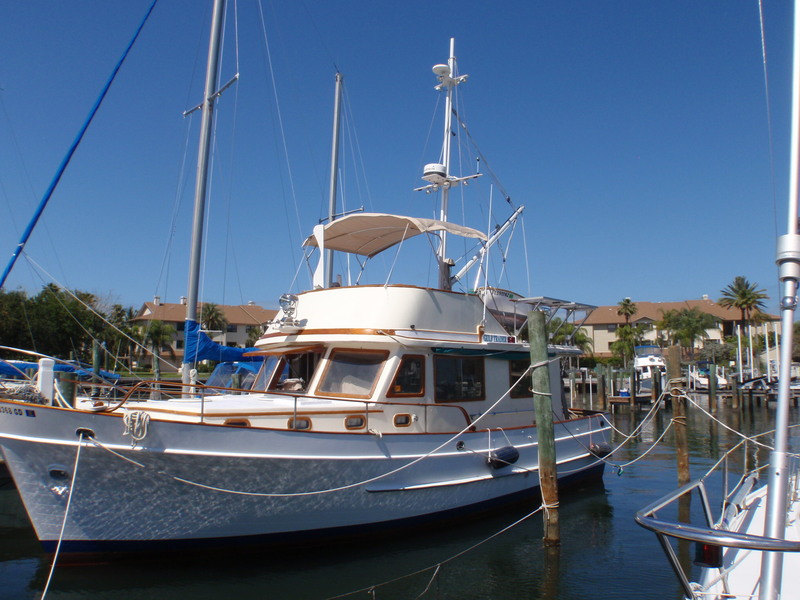 Total restoration, replaced wood planking, varnish, chrome, Hercules engine rebuild, upholstery. Normal FG maintenance, twin 350 engine rebuild. 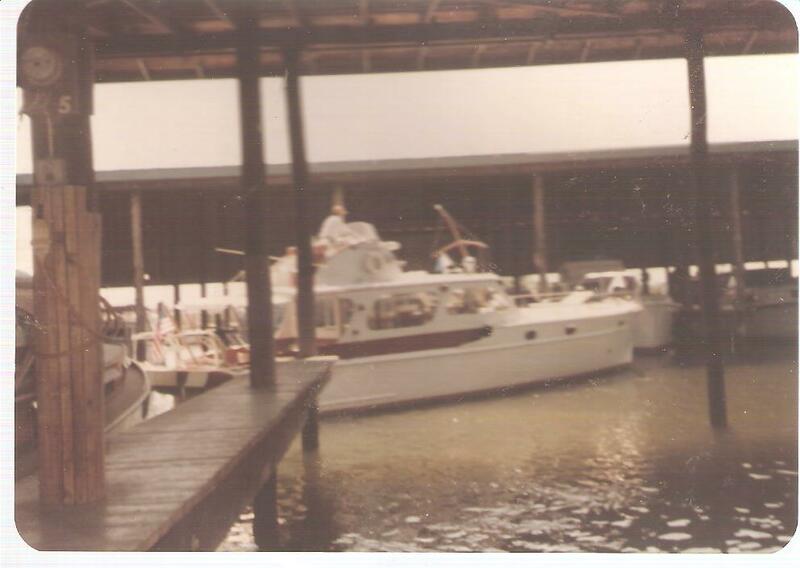 Purchased this boat at an auction for $25. 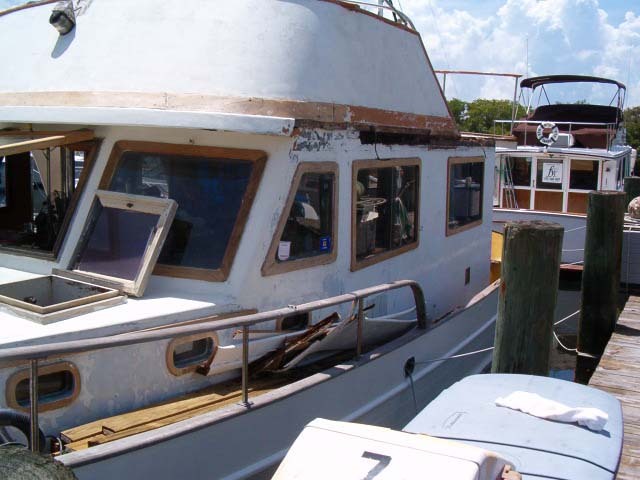 Burnt out hull, no decks, engine, wiring, interior, etc. 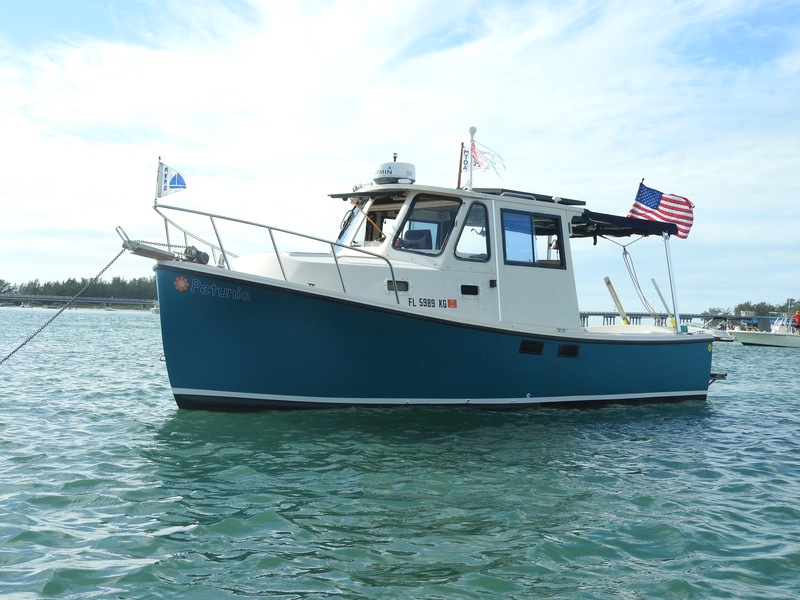 4 year rebuild in a custom design including all systems including installing new diesel engine. 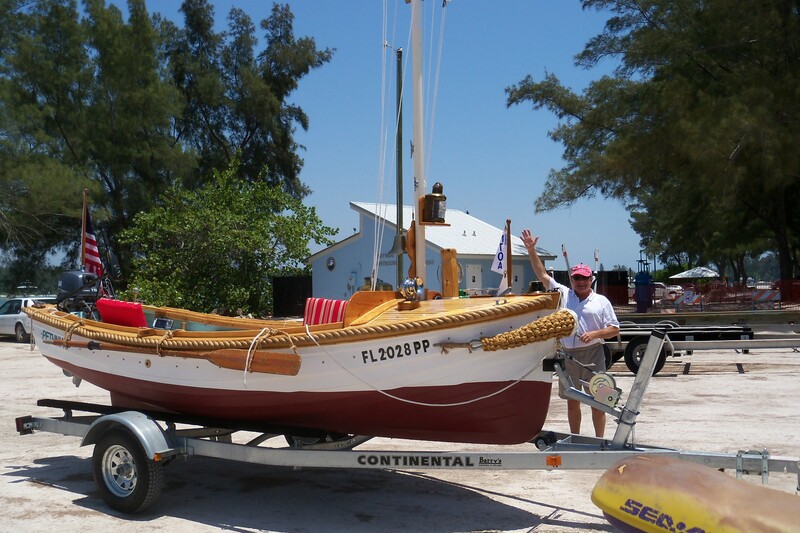 Great full-keel motorsailer after rebuild. Lots of Chesapeake cruising. 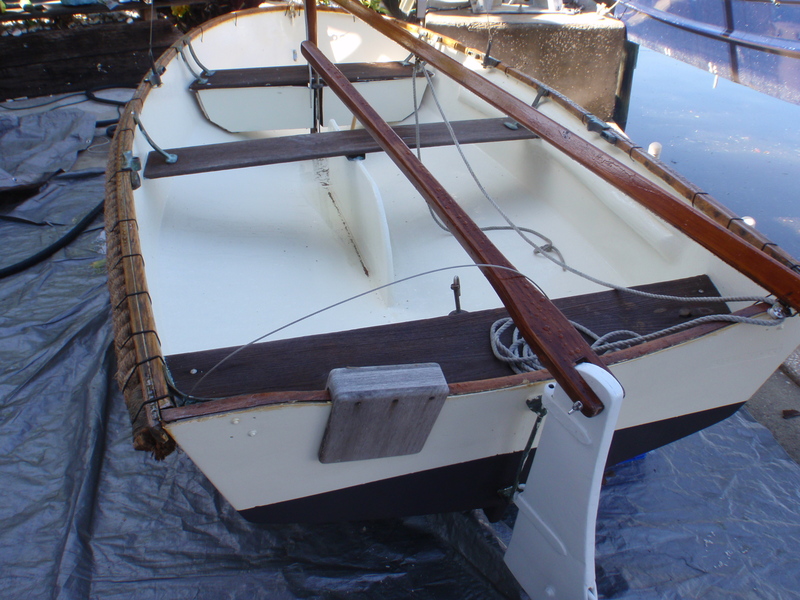 Epoxied the entire boat, inside and out, after a complete stripping of old paint/varnish to seal the lapstrake planks. 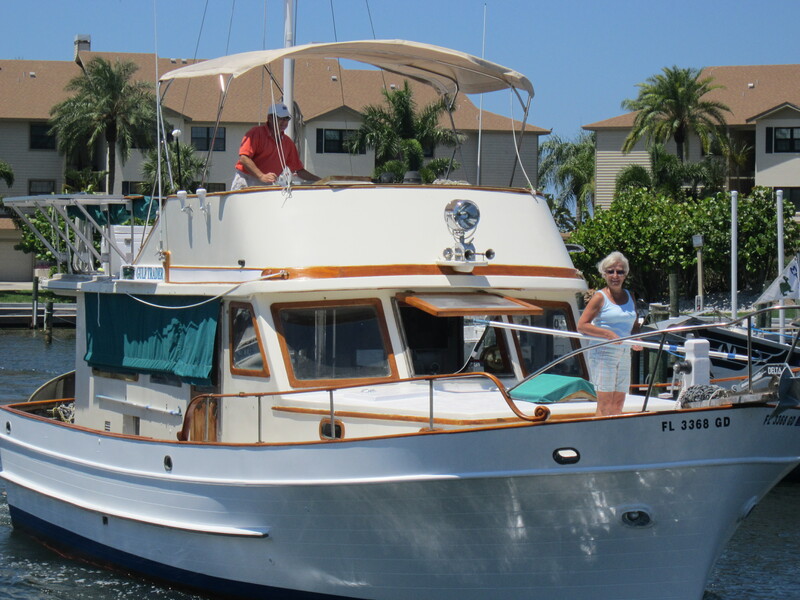 Repowered with a great Mariner 40 HP 2-cycle outboard. A perfect engine size for this boat. Good shape, mostly paint/varnish restoration. Rewired entire boat to survey standards. A very classic "ship". 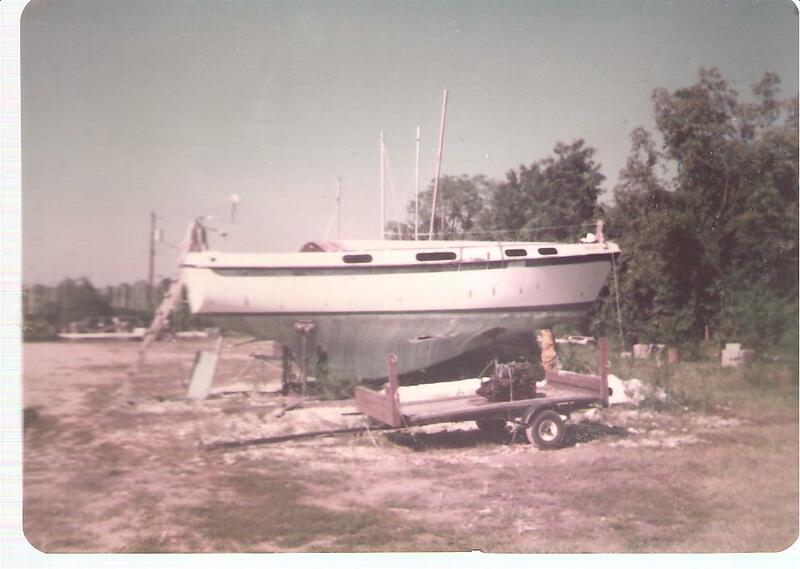 Twin Chrysler 318 engines would almost get this boat up on a plane, way over the original design speed. Bought at auction for $35. 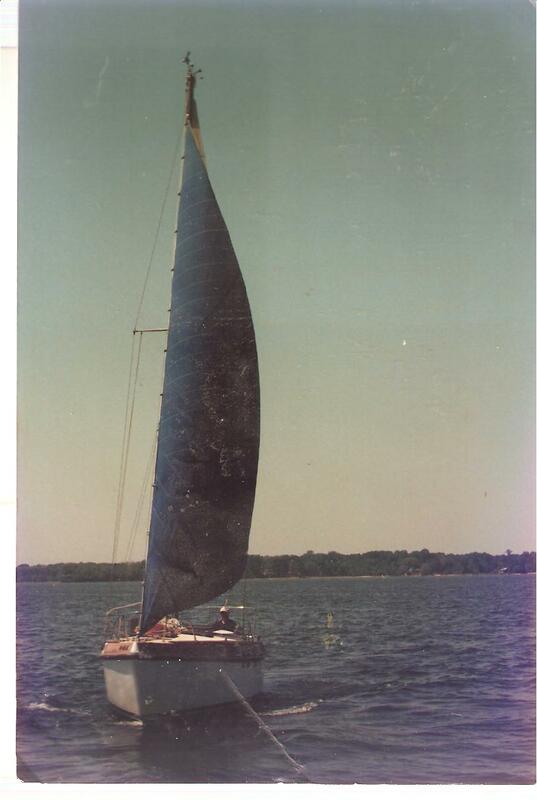 One-off/One-design racing sloop built for dry-sailed racing only. It had been kept in water so bottom was rotted. Replaced entire bottom (flipped this lightweight boat upside-down). Fiberglassed entire bottom for in-water storage. Competitive racer. My second Matthews. Smaller than the first. Single Chrysler 318. Completely refinished it, inside and out. Bought from an old boatyard where it had been sitting for years. Complete restoration, in and out. 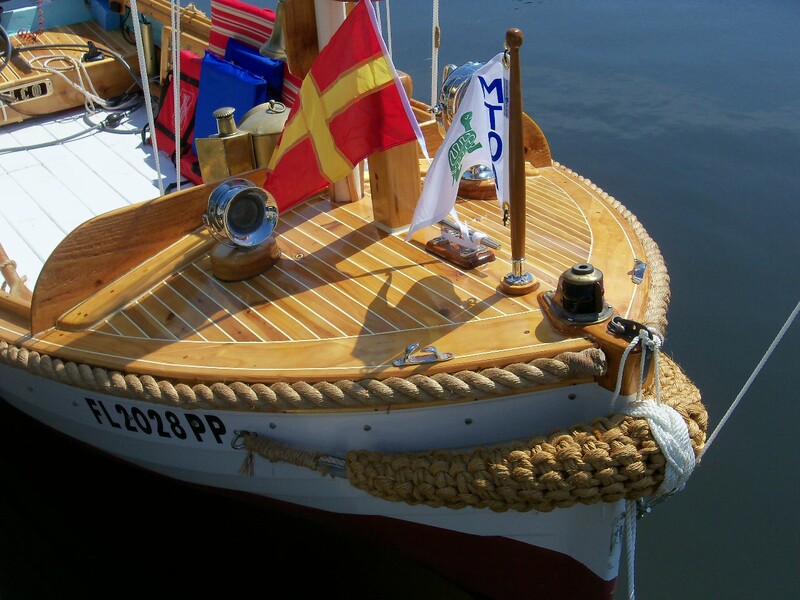 Lots of varnished wood on this great boat. Actually sailed quite well. With the huge iron centerboard and equally huge barn door rudder, it would track in a straight line and balance quite well. 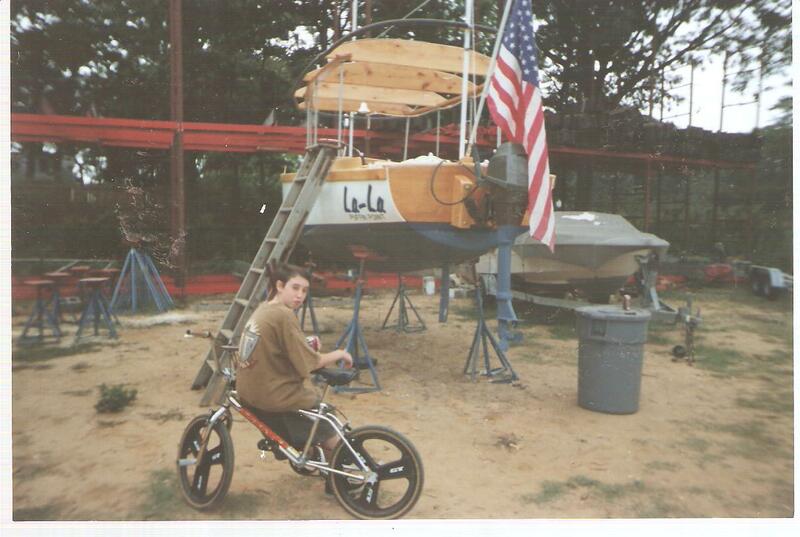 Built this boat from an old FG sailboat hull. Looked like an old canopy steam launch. Lots of woodwork, details and even a steam whistle powered by a compressed air tank. (Used an inexpensive "slide whistle" inside of a copper colored PVC pipe). Powered by a Nissan 9.9 OB. 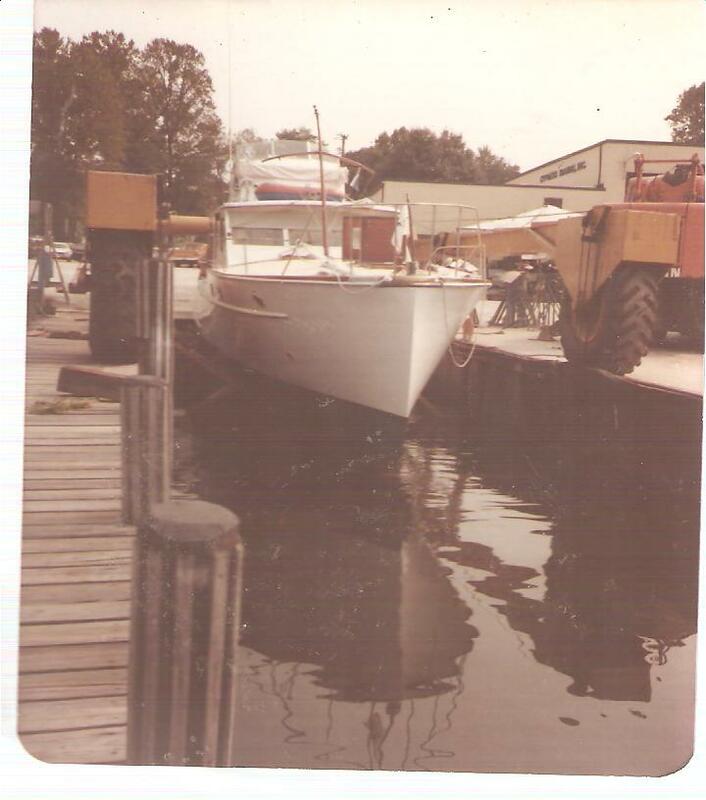 Complete rebuild/refit on this Bill O払rien cruising cat. 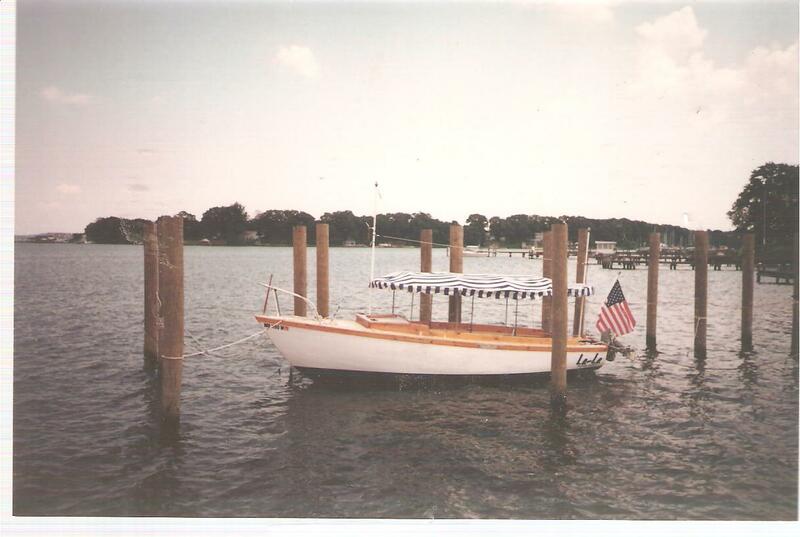 Replaced all decks (ply was rotten), built new epoxy/laminated ply bow crossbeam, installed new electrical system including massive solar panels with all new wiring, circuits, etc. 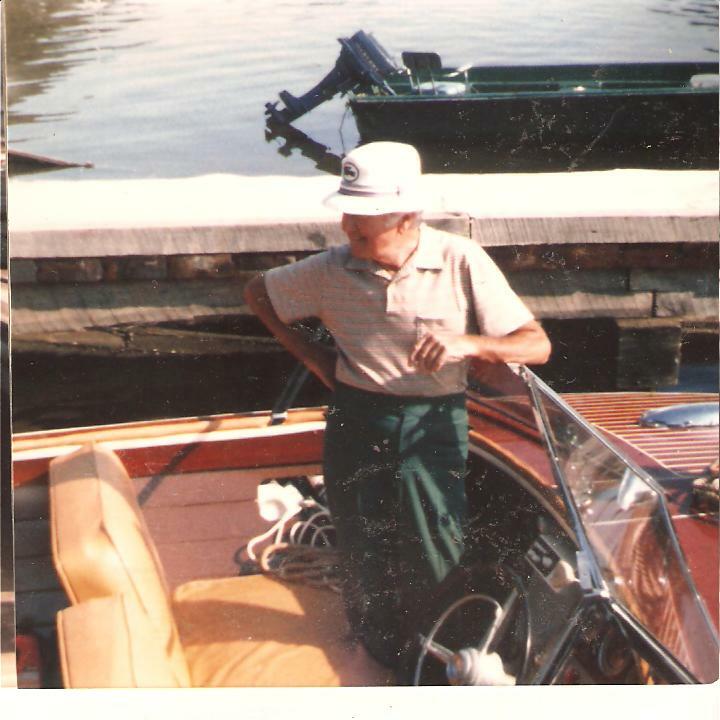 Removed original heavy twin diesel engines and replaced with single 40 HP outboard. Installed all new steering system. 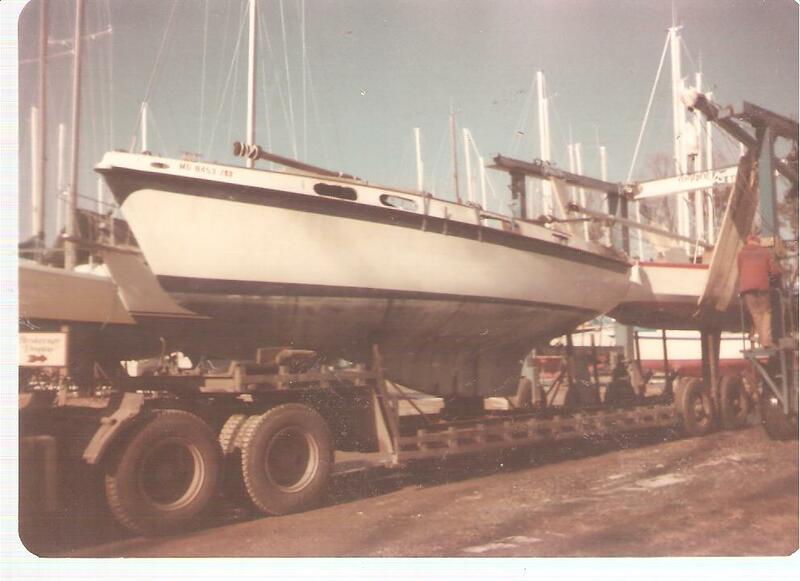 Great, roomy sailer. Removed the lightweight front spar and replaced it with a laminated plywood, thick very solid spar. No bending! Added lots of structural beams/bulkheads to stiffen up the original design. Extremely fast, tender racing thoroughbred. 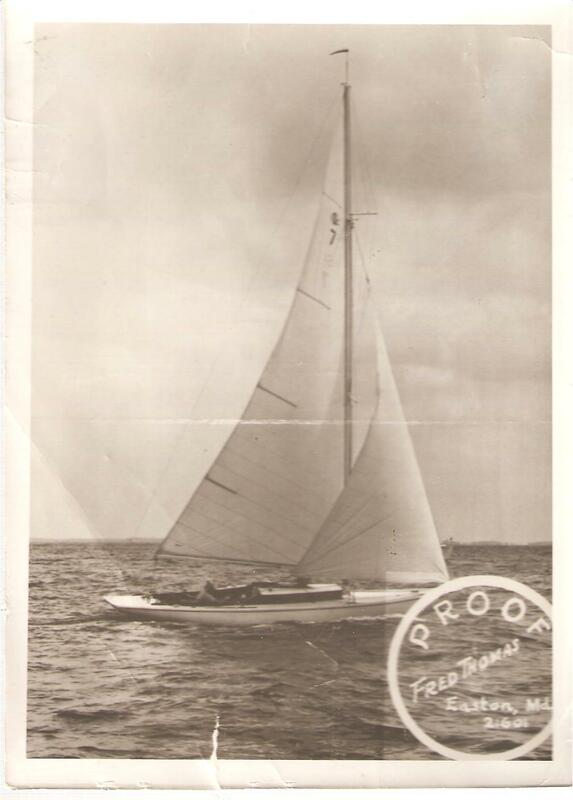 Purchased to teach sailing. 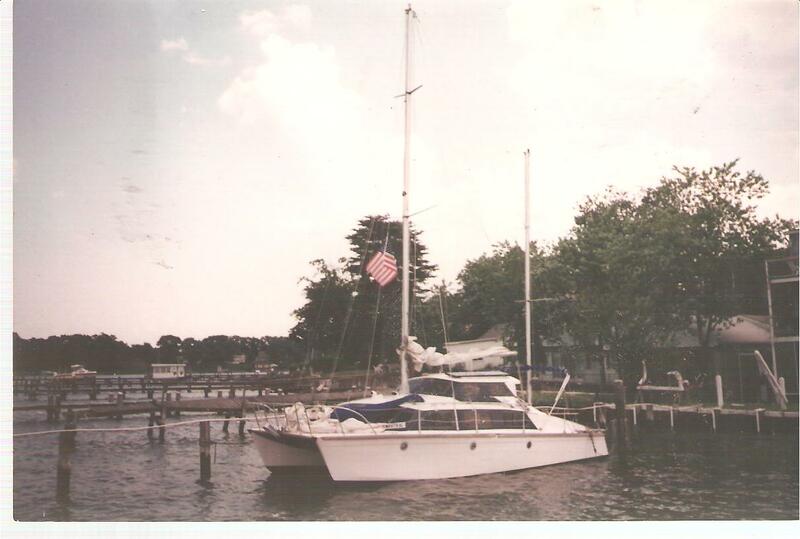 Spray painted hull, decks, re-rigged, installed new wiring, bilge pump, batteries, solar panel. 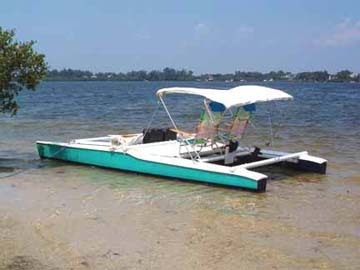 Unique electric catamaran with two beach seats, bimini, four 50 watt solar panels, two deep-cycle 100 amp/hr batteries and electric trolling motor. 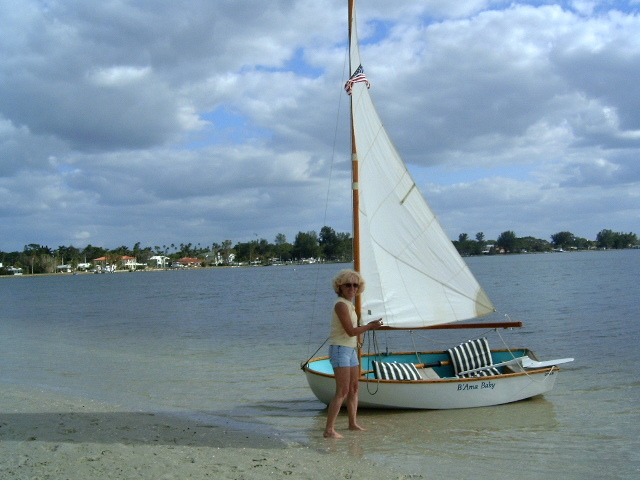 Great Florida cruising beach boat. 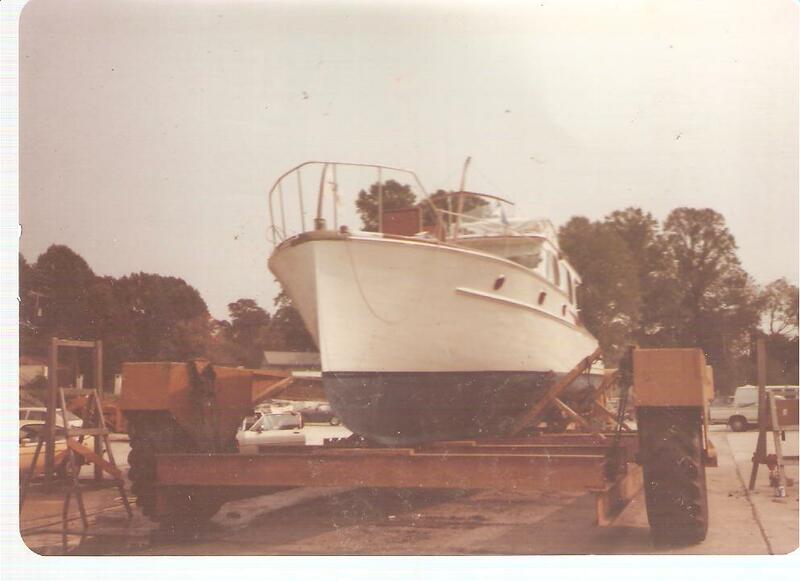 Wonderful sailer and tender for my 40� trawler. 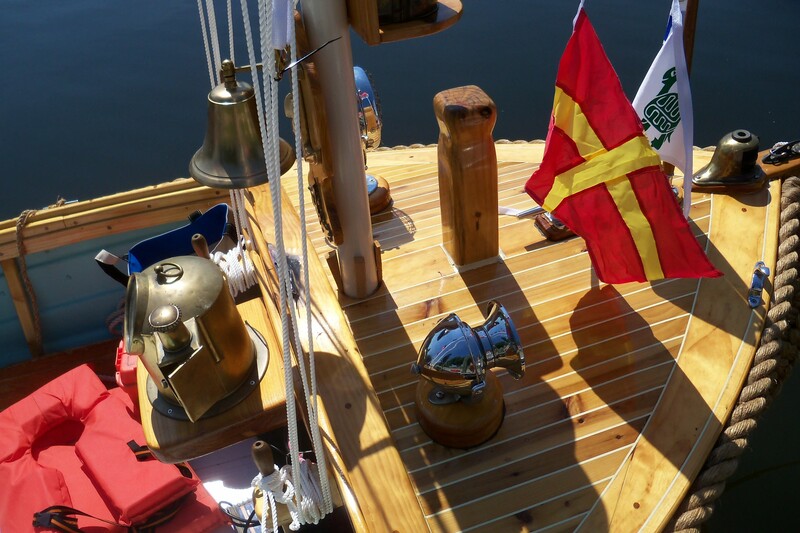 Refitted new oak rubrail and 2" manila rubrail padding, refinished all teak and wood mast/boom, repainted. 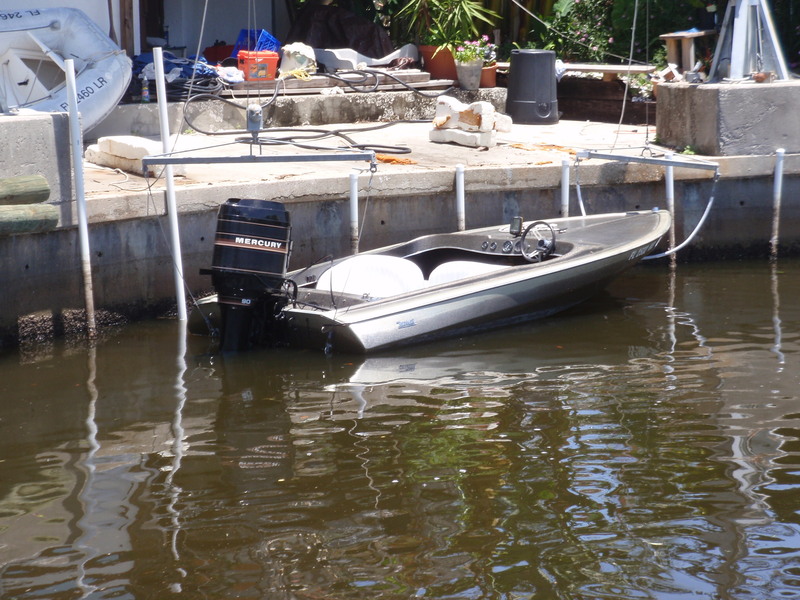 These small boats are perfect for tenders to any size boat. Very stable and can carry lots of gear. 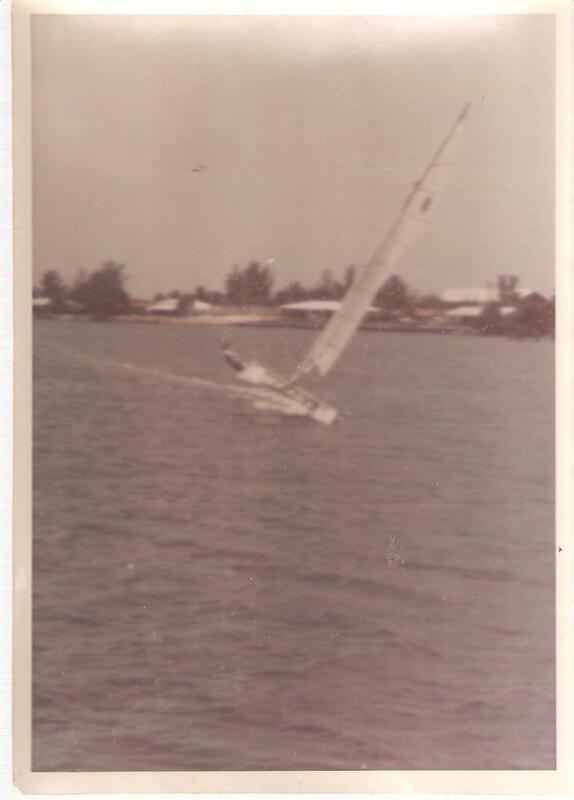 Rows perfectly and it stiffens up just before the rail gets close to the water when sailing. 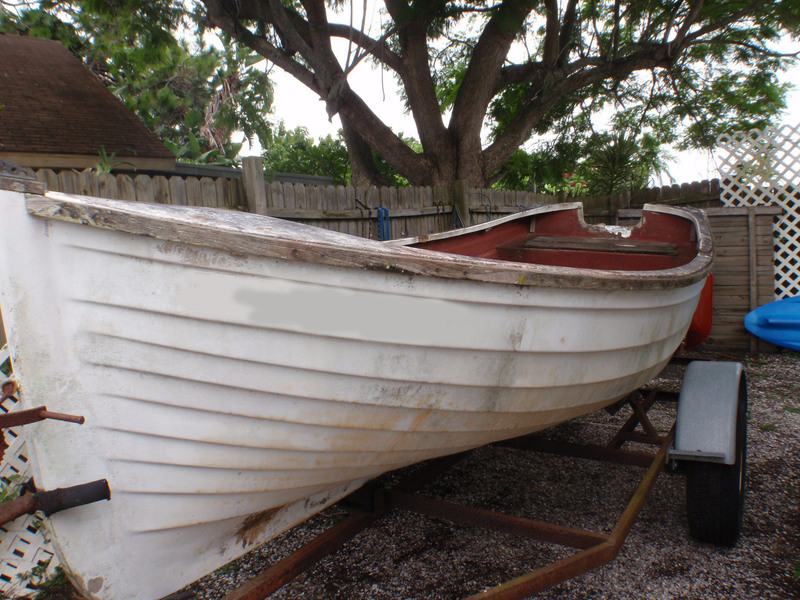 Large-scale project boat. 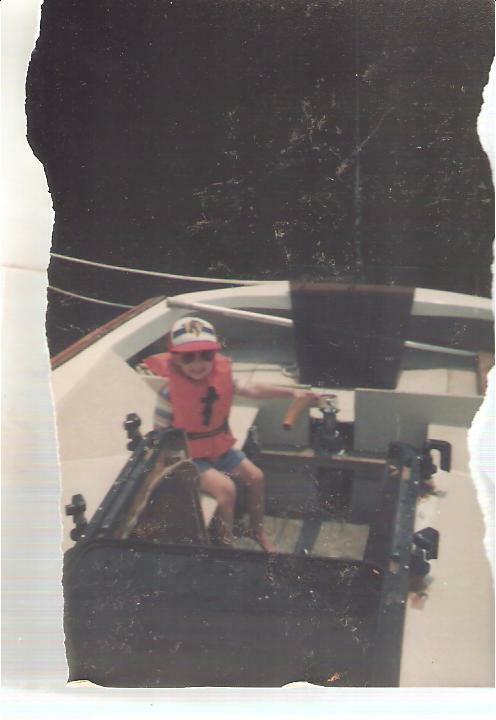 Boat sat for 12 years. 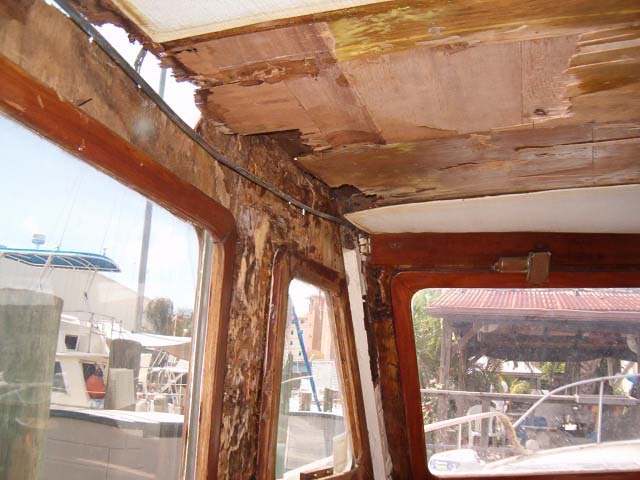 Typical Taiwan trawler deck/cabin rot. 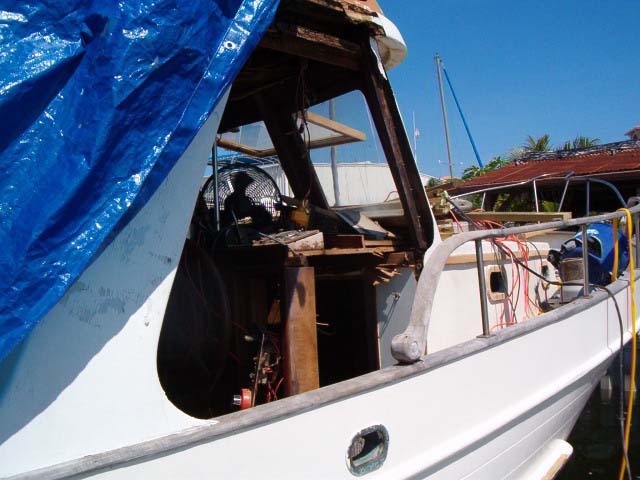 Replacing all decks, wiring, plumbing, exhaust, steering, etc. 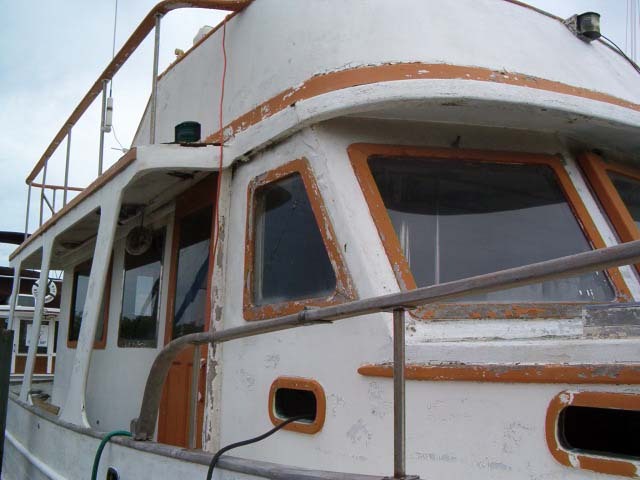 Total refit and rebuild on-going. Most every system is being replaced or rebuilt. 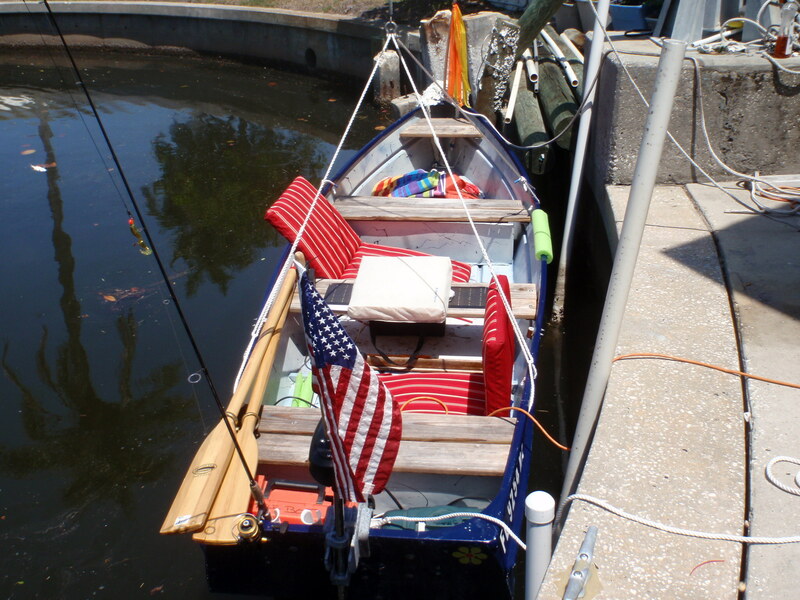 This little hot-rod of a boat was quite a change from our usual slow, river launch style boats for local cruising. 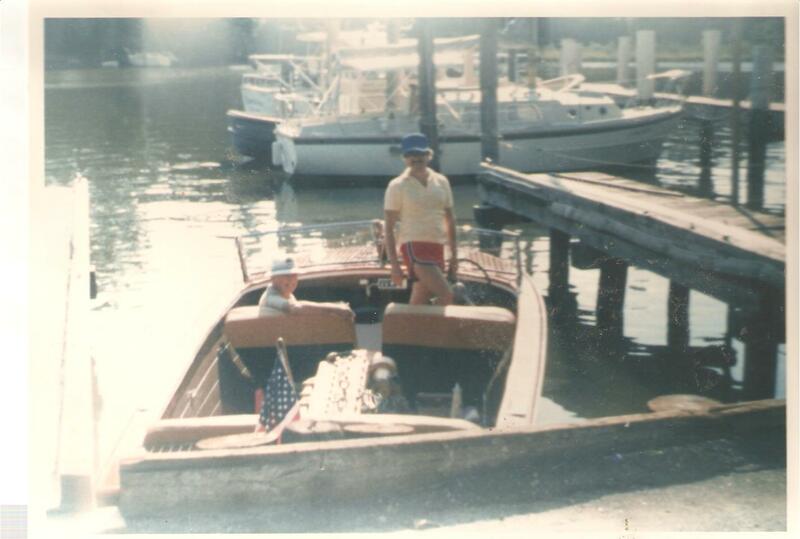 With its "tower of power", straight six (vertical) cylinder Mercury outboard engine, this tiny, low to the water boat would do 45 MPH!. And all the while gulping gas quickly from its two six gallon gas tanks. It didn't need much work, just a new spray job on the vinyl seats and some clean up. Not very good for our local slow canal cruising so it went to a better home and we went back to more sedate boats. 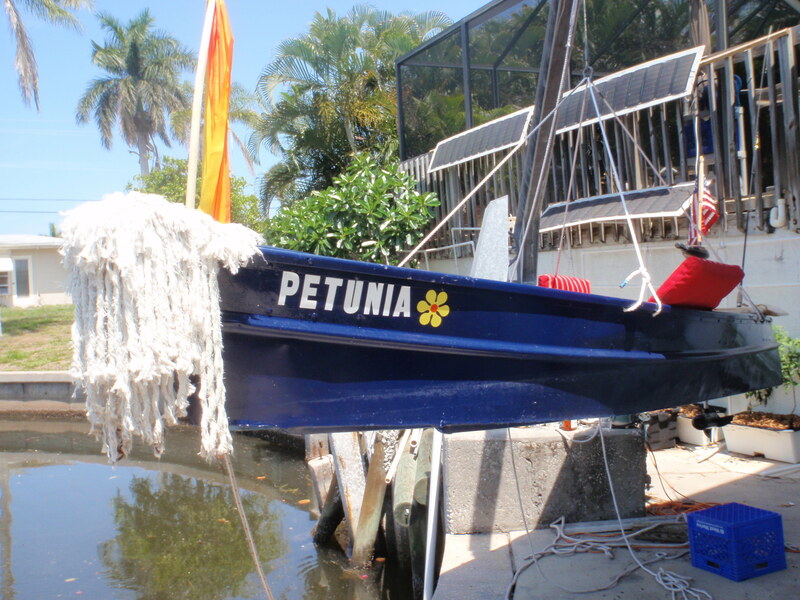 This nice little aluminum rowboat was the first "Petunia". 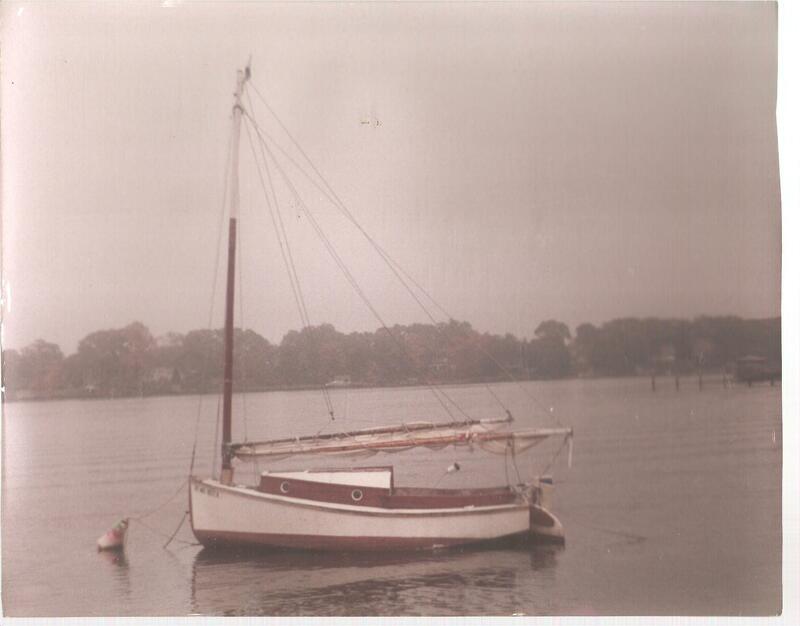 It's a 1952, very solid, flat bottome, riveted boat, a long 14' with three wooden seats. I used 3M 5200 on every rivet since there were a few leaks. We had a ball cruising the local canals here using our old MotorGuide (no electronics!) 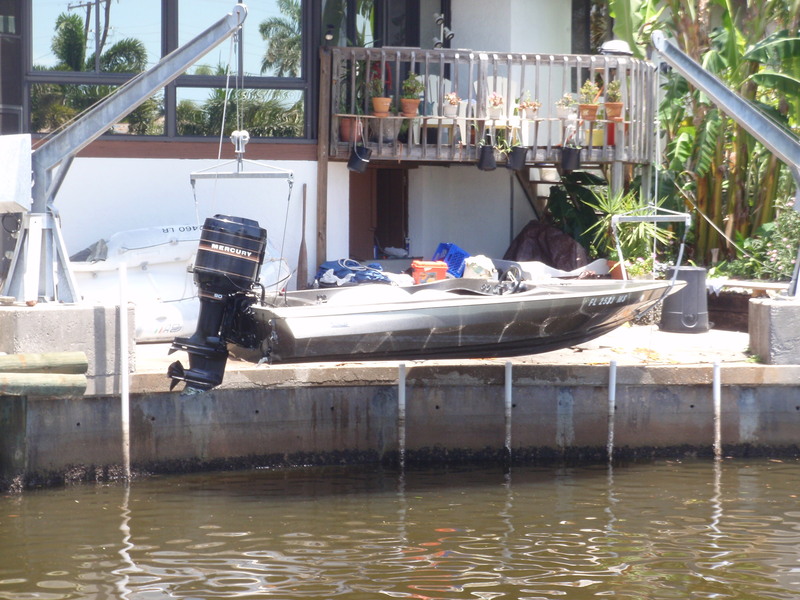 54 pound thrust 12 volt trolling motor and a deep cycle G-27 marine battery. We cruised mostly at full speed and could easily stay out for 2-3 hours. 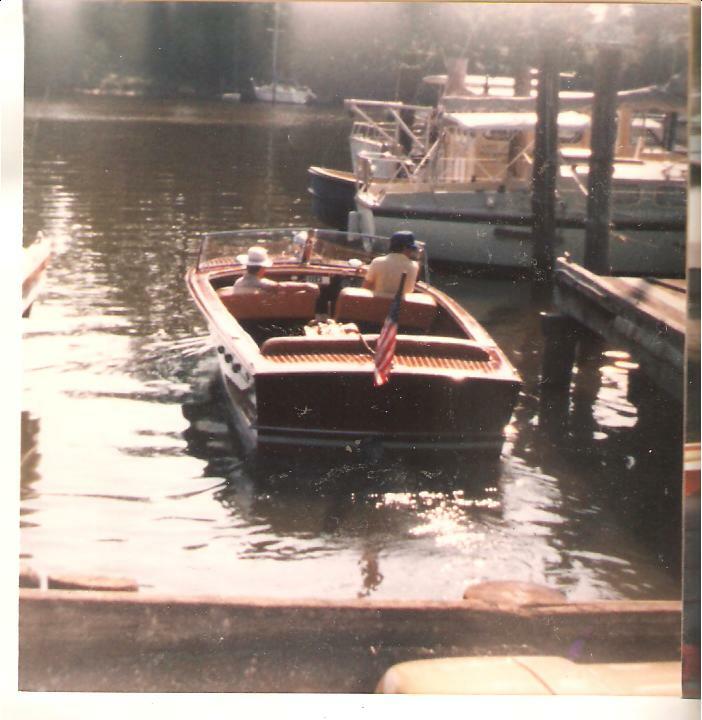 As shown in the pictures, we added some character to the boat in the form of flags and especially the "tugboat beard" on the bow. 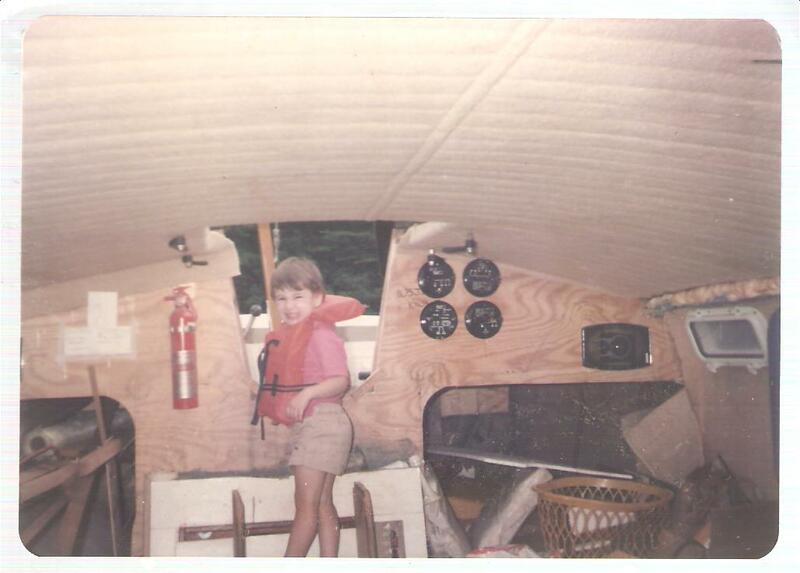 This was just a bunch of old rope that I uncurled and mounted to the bow. 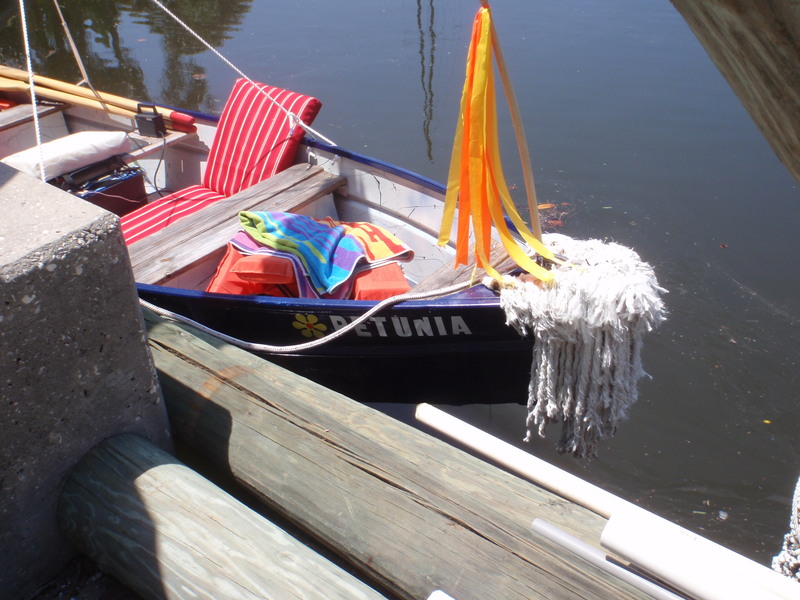 Unfortunately, we had a couple of comments from shore while cruising that we had a "mop" hanging off the front of our boat. A real fun boat. 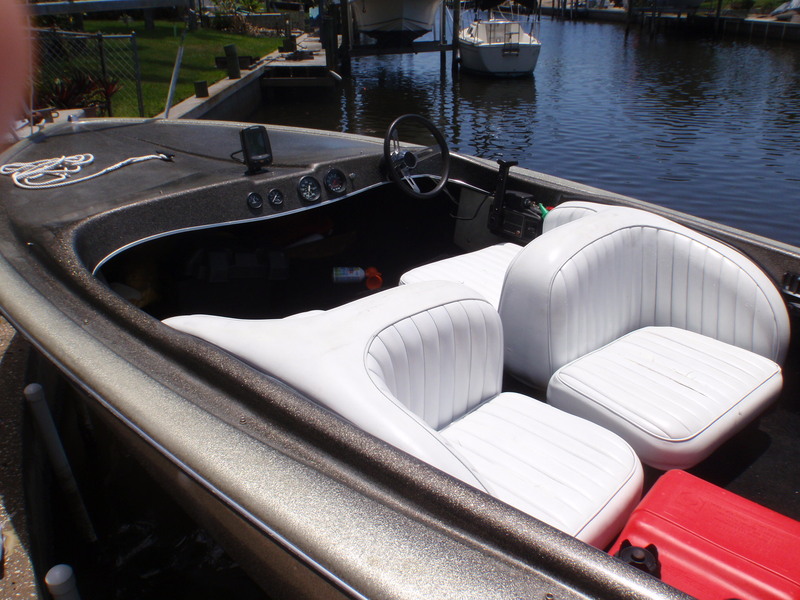 Drinks and snacks on the center seat with our lounge cushions set against the hull sides for sitting. 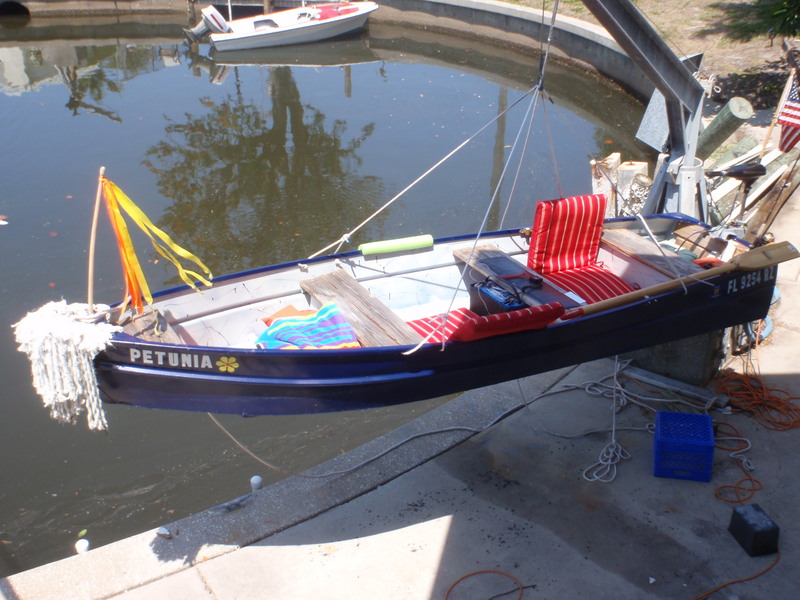 See our first page of our website for lots more details on this custom made (by Vickie and me), 16' lapstrake river launch. "A Work of Art", if I may say so. 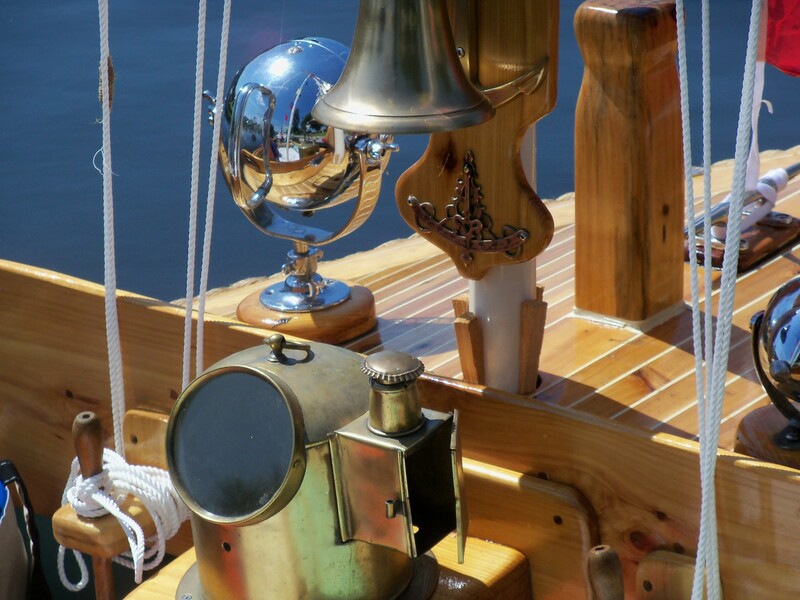 Lots and lots of detail in this boat. See our description on the first page of our website. 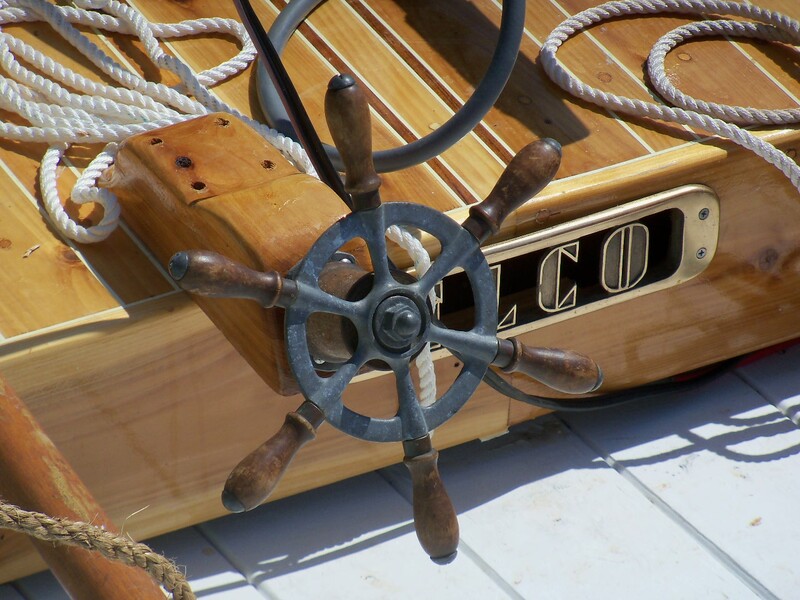 Lots of details on this great, solid, seaworthy boat.